Getaround includes also a feedback system similar to ebay, which will make the platform more trusted and prevent fraud usage. 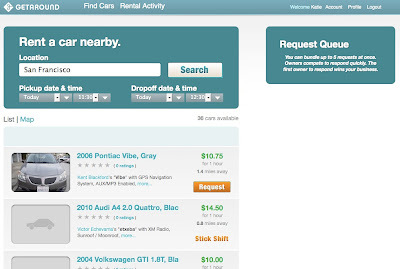 For searching getaround has launched an iPhone application that uses location information to find vehicles. 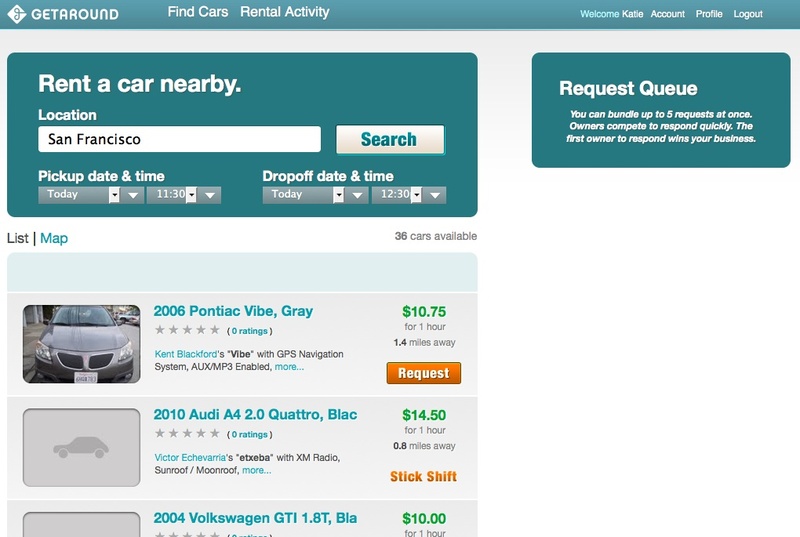 Of course car renters can earn a little extra money by making their car available for others. All in all I think it's a very smart idea, especially if you consider rising fuel prices and the trend towards more efficient use of energy and resources for supporting the environment. If hope there will be a similar service for Europe too. In my opinion Europe will have even more potential for this idea. Unfortunately I'm not sure about the plans of the founders and if they also want to make the platform available for Europe.